A place to post announcements, local results and the like. Dont forget the Tarland Winter Half Marathon on Sunday 17th December at 11:30am. Kindly organised by Richard Findlay. Lovely warm weather with a cool breeze made for ideal running conditions on our regular Scolty routes which were enjoyed by Mark Crawford, Jan, Sarah, Lesley, Fiona, David Cutteridge, Gordon, Shirley, Jack and John Mac. Tonight we met at Knockburn Loch to do the Robbie Simpson Challenge. After a few rounds of warmup, we divided into two groups and ran to the clock. The weather was fine and the scene just perfect, so we all found it quite fun and refreshing to do something a bit different. Runners were Elliot, Lesley, Jack, Alex, Fiona, Rachel, Lynsey, Wendy and John Mason. Well done all on times recorded. See the Strava leaderboard. Small turnout tonight with Alex, Jack, Paul and Lesley. 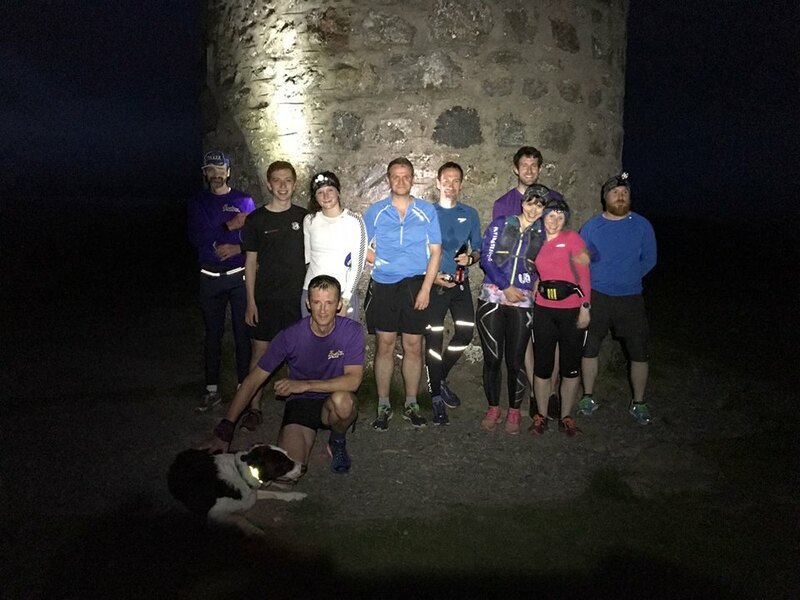 Welcome aboard to Colin who joined us from the C25K course on this Crathes Castle run with Alex, Jack, Lesley, Wendy, Seb, Paul and Gordon too. Tonight was the graduation of the JogScotland Banchory Running Club “Couch to 5k” course and we look forward to the next stage of their exciting path in this great sport. Regular runners tonight included Sarah, Jack, John Mac, John Mason, Lynsey, Mark and Rachel.